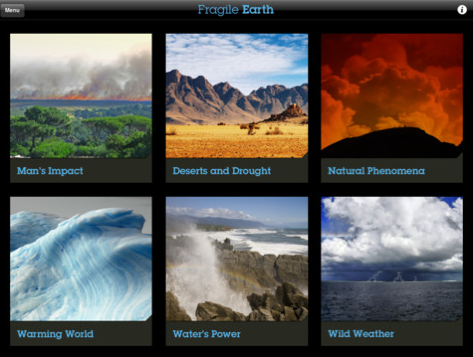 As a follow-up to the previous Wonders of the Universe i-app released by Harper Collins, Fragile Earth brings us back from the farthest reaches of the Universe to our own beautiful blue world, whose surface is rapidly changing due to the effects of human civilization. 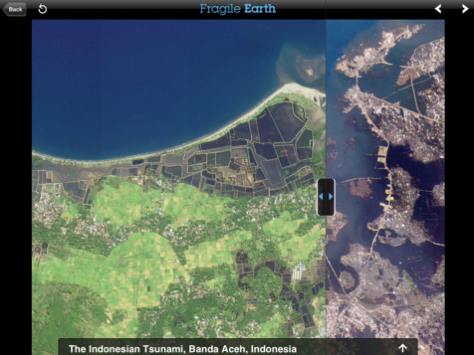 With Fragile Earth those changes are brought to light with amazing satellite images and aerial photography, revealing decades of data with a swipe of a finger. Released on April 19 and developed in conjunction with Aimer Media, the app is set to become the definitive reference guide for all those interested in science, nature, photography and landscape. 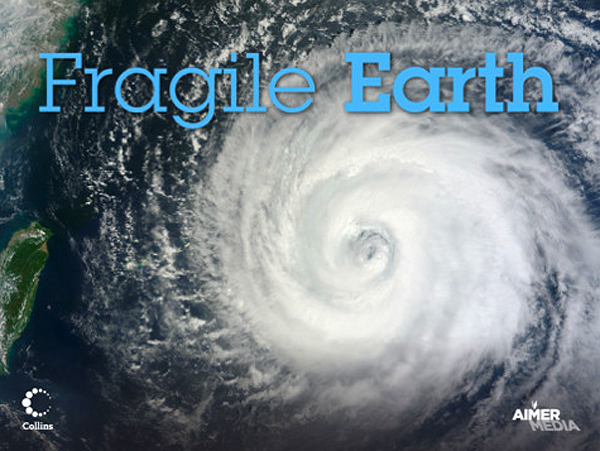 Fragile Earth combines some of the most powerful images of the environment, showing before and after scenes of our natural world. Through these thought-provoking portraits from across the globe, the app captures the world’s beauty, vastness and vulnerability. Detailed ecological snapshots depict rivers which have dried up or flooded, erupted volcanoes, glaciers in the process of melting, and cities sprawling outward. Fragile Earth’s innovative swipe function allows users to see years pass under their fingertips – from as far back as 1914 to the present day – by dragging multiple photographic layers across their screen to reveal images of a site before, during and after the landscape has changed. The app is available for download from the iTunes Store, and until midnight Saturday, April 28, it’s available for just 99¢ in honor of Earth Week (regular price is USD $2.99). So be sure to grab your copy today for your i-device! Next Post OMG Wow: Shuttle Landing Caught on Video! Well well still a awesome app ! !